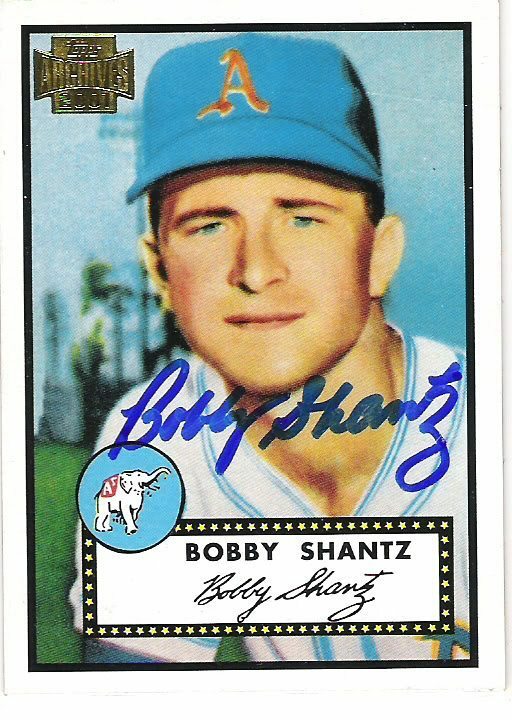 Shantz reinvented himself from starter to reliever. In addition to his 119 career wins, 78 complete games and 15 shutouts, Shantz threw in 48 saves. 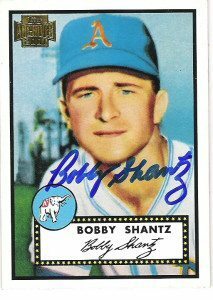 Two books pay special tribute to Shantz, Athletics Album: A Photo History of the Philadelphia Athletics and The Story of Bobby Shantz. .
“I only played two years under Mr. Mack and enough to tell you he was a very special person. Very quiet most of the time and never wore a baseball uniform as far as I know, while managing. Shantz hedged on describing his defensive artistry. Why did glove work come easy? Shantz may believe he was “only” 5-foot-6. I believe he was, and is, a giant in the eyes of fans and collectors.